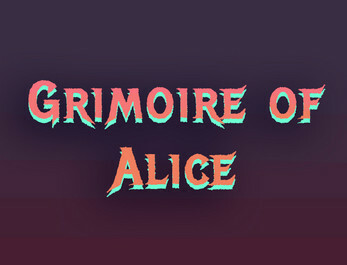 Download the Grimoire of Alice.pdf, YOU NEED IT TO PROGRESS THROUGH THE GAME. If you're not finding the interactivity to work, open in a browser such as Chrome or Firefox. 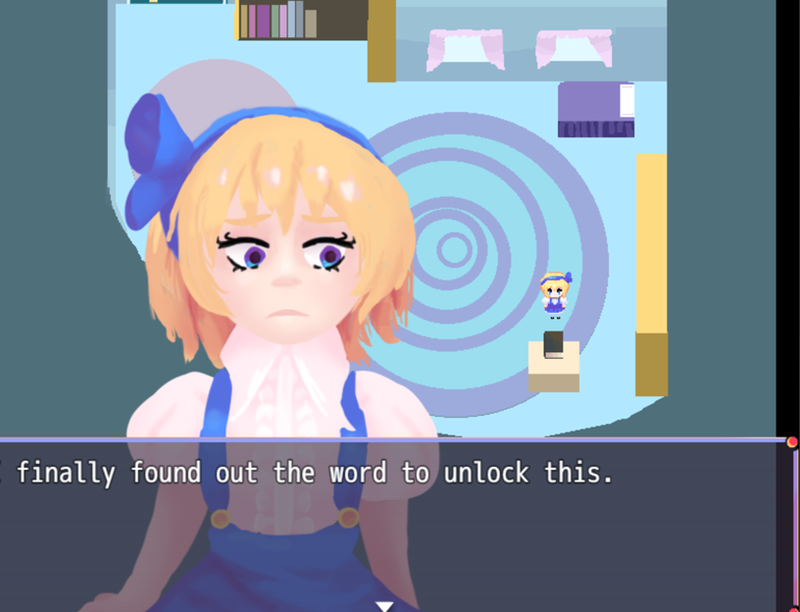 This is a derivative work of Touhou Project by ZUN, featuring his characters. Apologies for any typos I made. EDIT: FOR FLOWER PUZZLE, THE RED MARK ON PDF IS OFF. 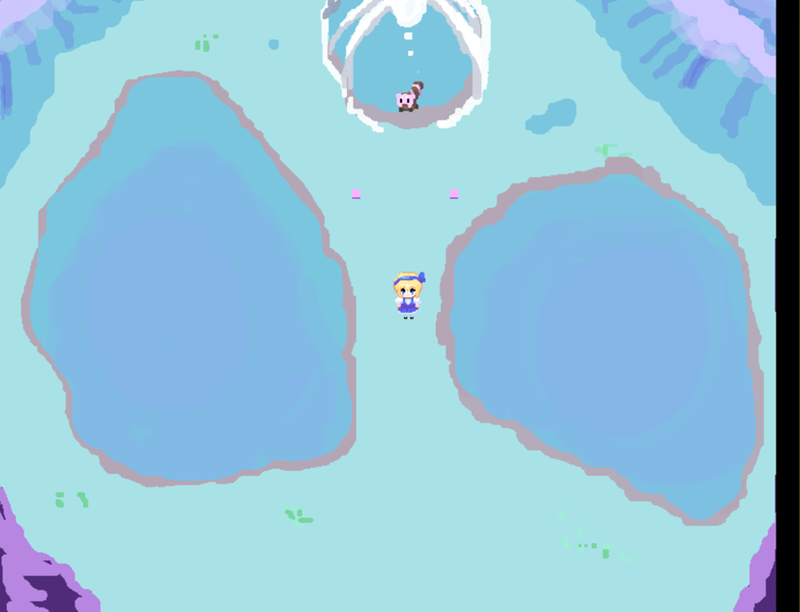 THERE IS A HIDDEN ITEM INTHE EMPTY SPACE ON BOTTOM RIGHT OF THEMAP, a bit below the icon. 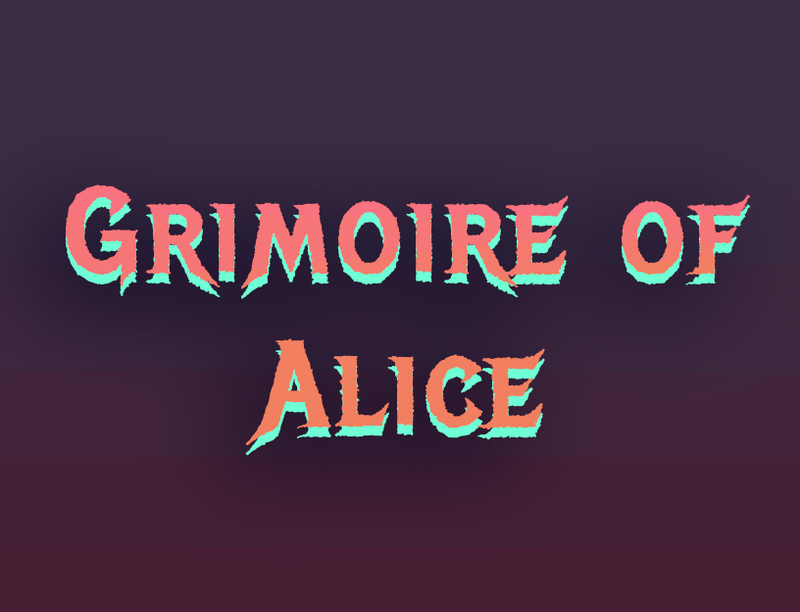 Download the Grimoire of Alice.pdf, YOU NEED IT TO PROGRESS THROUGH THE GAME. I can't find the hidden item in the field of flowers...even with the hint. I walk around and spam the Z button and it doesn't show up anywhere. What am I doing wrong? This was a wonderfully made adventure that uses an outside medium to simulate in-game interactions. The PDF file that comes is part of the game is the characters in-game grimoire and the information therein read by the player is used to give the character information on what actions to take. It's quite creative and helps the settings storytelling. Also humorous information about spells. Involving a PDF with clever tricks was pretty neat, though for some reason the PDF lagged very badly for me when scrolling. Good non-combat RPG gameplay. The figuring-things-out was cumbersome at times, but could be pretty great with a bit of polish. I liked glum Arisu's dialog.